(10/10/17 – 10:45 p.m. PST) The Red Cross Katella High School Shelter has been closed. The Modena High School shelter will remain open the evening of Tuesday, October 10 and will close Wednesday, October 11 at noon. The shelters will provide for the immediate needs of those affected by the Canyon Fire 2. At a Red Cross shelter, evacuees can find a safe place to stay, three meals a day, basic health services and a compassionate shoulder to lean on. The El Modena High School shelter and Katella High School shelter will remain open for as long as there is a need. We are working closely with our local partners and emergency management officials to coordinate ongoing response efforts. Trained Red Cross volunteers and staff are on call around-the-clock and stand ready to assist in various aspects of disaster response, including sheltering, feeding, disaster assessment, casework, and more. Please stay tuned for updates. 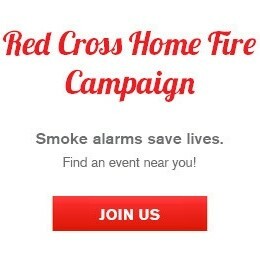 You can also follow us on Facebook at facebook.com/RedCrossDTS and on Twitter at @RedCrossDTS.